Ribbon used in the decoration can be used again. The use of packing paper depends on the colours available in the market. Tired of giving those old flower bouquets to your loved ones? 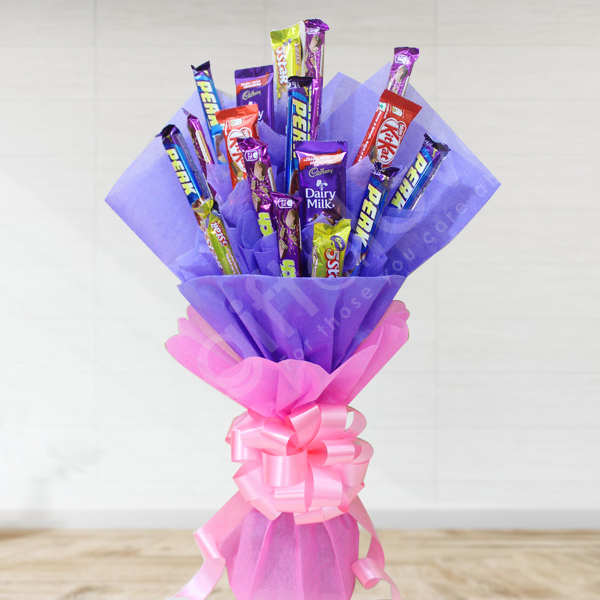 This chocolate bouquet of 15 chocolates is everything that you need for your special day. On receiving this beautiful bouquet your loved ones will for sure love this beautiful surprise and will also appreciate your efforts. It was a nice arrangement of flowers in a bouquet. Ideal for the ones who have a sweet tooth. It came exactly like in the picture!